If you notice that some shingles are missing from your roof or that they have landed on your yard, it could be a sign that you need to call in a professional for re-roofing. The shingle may have become defective due to age or rotting, or because it was not properly nailed down. If the roof is left exposed, it could be prone to water damage that could impact your entire house. Here are possible scenarios. 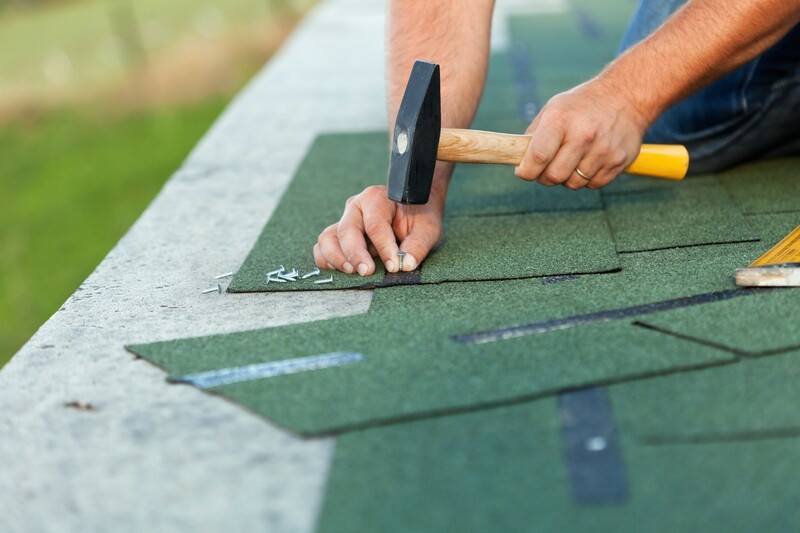 If a shingle has blown off of the roof, it will leave the underlayment of the roof exposed. While the underlayment can protect the roof against some moisture, it doesn’t seal the roof deck completely. Therefore, it is likely that water will get through the underlayment material and into the attic after a bad rainstorm or after a particularly harsh winter. The water will then make its way through any gaps or holes in the home until it finds its way into the foundation. Any portion of the roof that is not covered by a shingle makes a great entry point for insects, such as carpenter ants or termites. It will also make a great entry point for mice, rats or squirrels that are looking for a warm and safe place to raise their young or stay out of the cold. As termites love water, you could be dealing with two major issues at the same time simply because you lost a few shingles. If one or more shingles come off of the roof, other shingles may likely follow due to high winds. With one or two shingles out, there are fewer nails to hold adjacent shingles in place. The underlayment is also not going to protect against the light and heat of the sun, which could result in the roof deck suffering from rot or warping. If shingles have blown off of your home, it’s time to call a roofing professional in Palo Alto, such as Shelton Roofing, to have your roof fixed. Roofers can provide an estimate, as well as inspect the roof to look for any other damage that may be present.